At MASCOT, you will be well-dressed from inner to outer. For the inner layer, you will find a wide selection of underwear in many different fabric qualities, materials, fits and applications. MASCOT offers a wide assortment of under shirts for different needs. 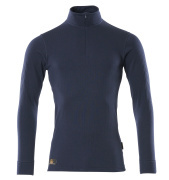 You will find, among other things, under shirts with short sleeves that are good during the transitional periods, as well as under shirts with long sleeves – perfect as the inner layer when you need to keep warm during the cold seasons. 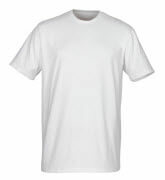 The under shirts are available in a variety of neutral colours, such as white, black, anthracite and marine. 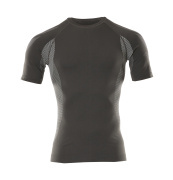 You will also find the under shirts with different fits so you can choose the fit that suits you the best. The styles are very elastic and fit both men and women. With a lightweight and moisture wicking undershirt, you can easily keep dry throughout the work day. 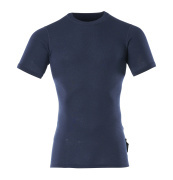 The MASCOT under shirts are designed with functional and lightweight materials. Some are, above all, moisture wicking. Additionally, many of them are insulating. And then there are also variants with, for example, quick drying and/or antibacterial properties. All this to ensure that you avoid cooling of your body or discomfort when you work, and that you can maintain a good body temperature throughout the work day. MASCOT under shirts are designed with attention to comfort and freedom of movement. They are available in a modern fit that closely follows all the body’s movements. 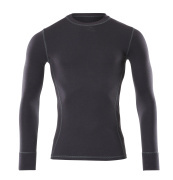 The under shirts are designed in an elastic and flexible material in order to provide you with great freedom of movement throughout the work day. Some of the under shirts from MASCOT are seamless without labels and washing instructions so you avoid annoying labels.